The site for the Greenwich Architecture School project is in a very polite and picturesque part of London. 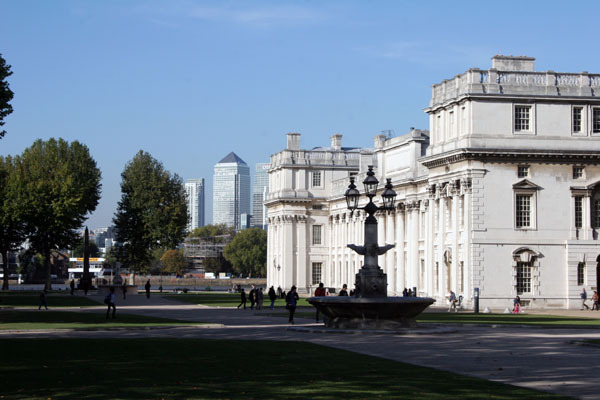 Nearby are classical buildings designed by Wren and Hawksmoor, including the Greenwich Maritime buildings and the Royal observatory from which “Greenwich Meantime” gets its name. So established and genteel are the surroundings that Greenwich Park even held a royal residence, before the Queens House was turned into a museum. 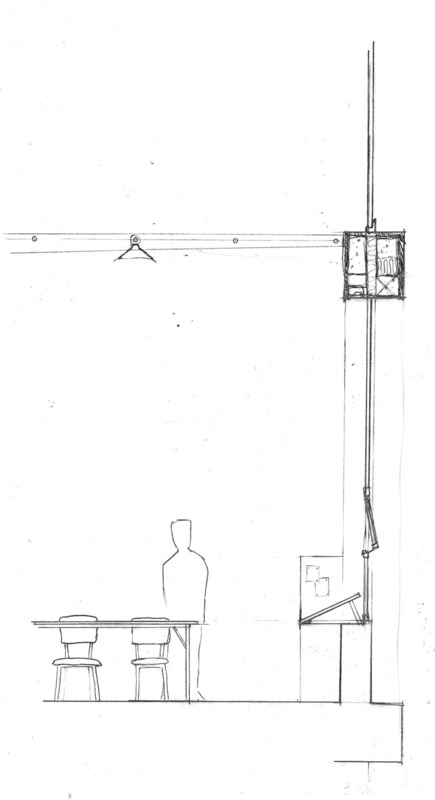 The envelope of the building needed to facilitate the functions of the various studios within whilst relating to the context on the outside. So the facade was designed to be modular. Regular in overall proportions but with changeable elements to satisfy interior conditions. These proportions were dictated by St Alfege’s Church, designed by Nicolas Hawksmoor, which faced the site and based on the classical Golden Section. The exterior wall became the focus for the project. 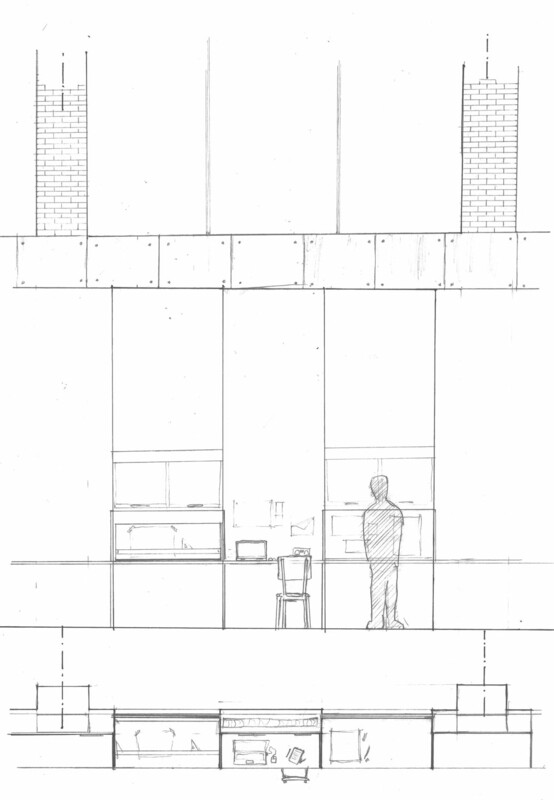 Building workspaces into the envelope became another way of expressing the duality of the architecture’s function. Detailing the junction well was very important to it’s success, each material judged by who saw it, who touched it, it’s function for the room and durability. Brick and concrete formed the palette for the building overall, with timber highlighting the workspaces or areas that people made contact with the building.